Hi, Friends. 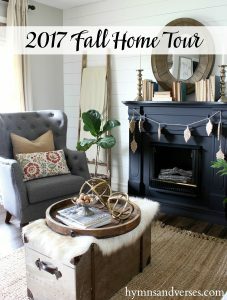 Today I’m excited to be joining some of my blogging friends for the Welcome Fall Home Tour. If you are here visiting from Suzy’s – Worthing Court – Welcome! 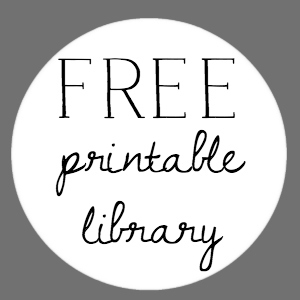 At the end of this post, you’ll find links for the other homes participating on this tour! 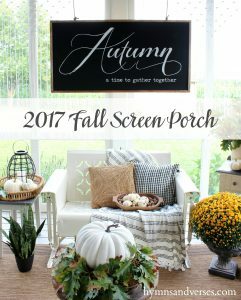 For this tour I’m sharing my bedroom and upstairs landing dressed up for fall. We’ll start in my bedroom. I kept things simple in our bedroom with just a few touches of fall and a slight change in the color palate. I painted the walls a light gray, Benjamin Moore Gray Owl. The walls had been a silvery blue and even though I still liked the color, I felt it was limiting me in my decor choices. Now that I have a more neutral palate, I can bring in colorful accents or bedding. 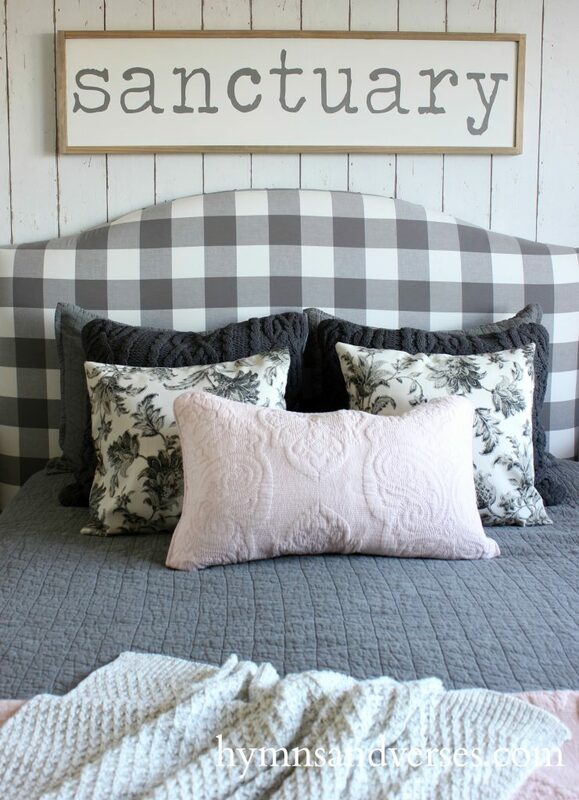 For fall I switched out the dusty pink quilt for a charcoal gray quilt. I did want a touch of pink in the room, so I folded the pink quilt and placed it on the end of the bed and added a matching lumbar pillow to contrast with the gray tones on the bed. On each of the shutters behind the nightstands, I tied two small cotton stem wreaths. The other fall element I used upstairs is wheat. I love the mix of the golden wheat with this small pewter pitcher. 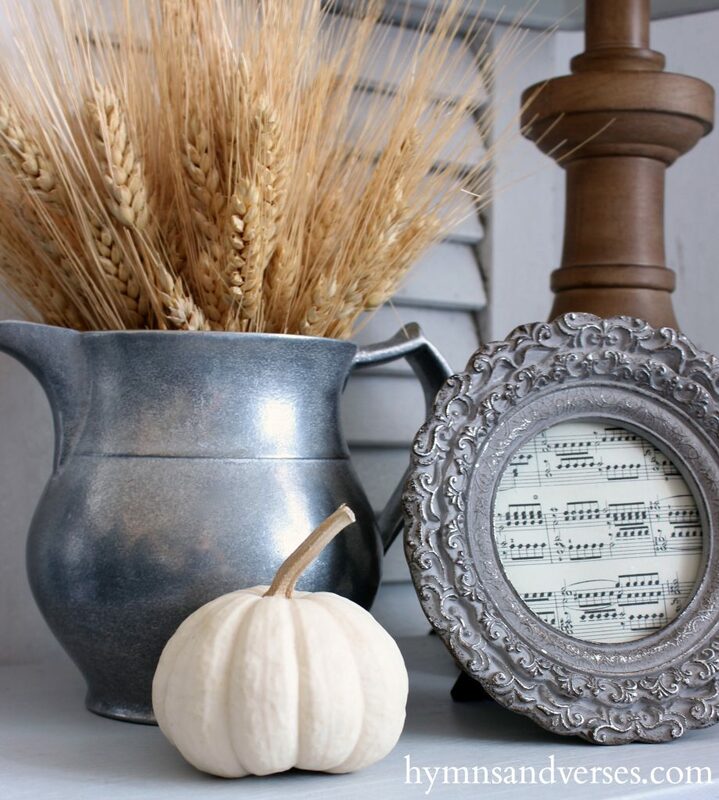 On the dresser I added a few items for fall – a silver vase filled with leaves and a framed fall print. And, some pretty mercury glass pumpkins. This piece is another recent transformation. 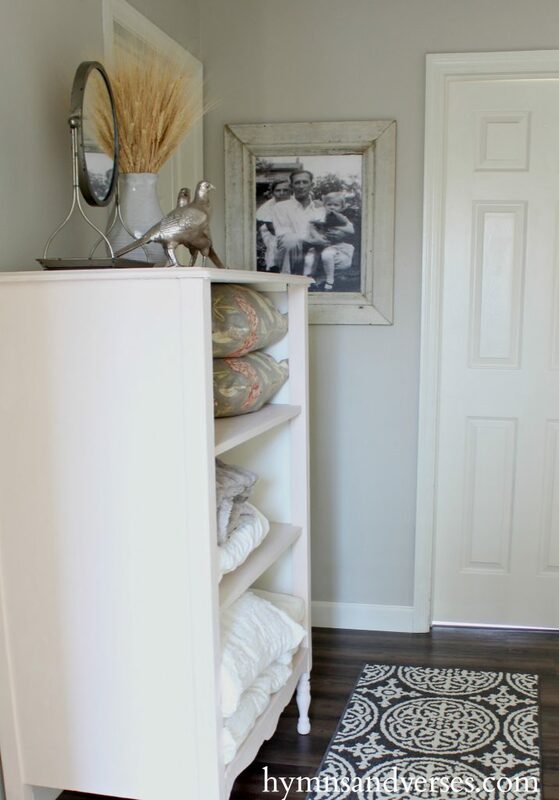 It was originally a vintage wardrobe that I transformed into an open storage unit for extra linens in our upstairs hallway. 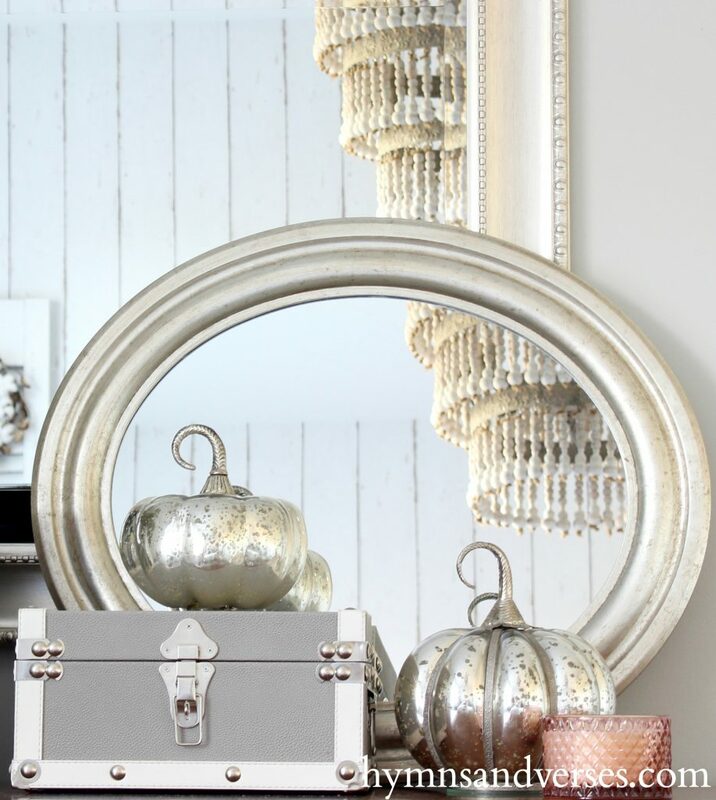 It was painted white, but then I saw this pale blush paint color – Ella Rose from the Magnolia Home paint line. I fell in love with the shade and repainted this piece. It’s a bit feminine and girly, but I like it! 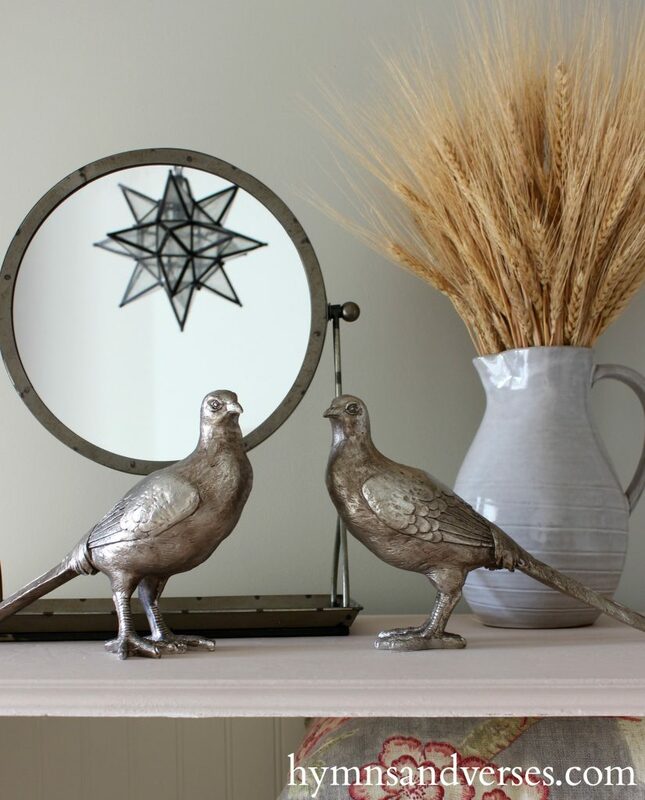 On top of my new pink piece is another pitched filled with wheat, a fun dressing mirror, and these two silver pheasants. You can also see the reflection of the hanging star pendant light. From here you can see the star pendant light and a blanket ladder at the top of the staircase. I hung a larger cotton wreath from this ladder along with some blankets – of course! This is a view from the other side of the pink shelf unit. On the wall is an old photo of my grandparents with my mother at about age 3 and she is holding her cat. My mom was also a crazy cat lady from a very young age! The frame here was made by a local craftsman using old barn siding. I’ll say goodbye with this pic of Sadie enjoying the new sweater throw on the bed. Thanks for stopping by today for the Welcome Fall Home Tour. 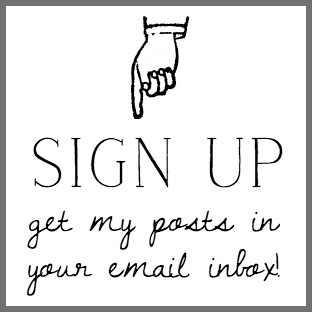 If you’d like to see more of my fall home this year, just click the links below. Next up on today’s tour is Barb from The Everyday Home! I can’t wait to see what Barb’s fall home! 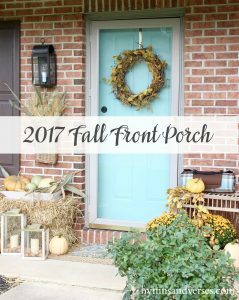 And below are the links for all the fall homes shared in the Welcome Fall Home Tour! Such a pretty room Doreen! I really love the pink with the gray. Thanks so much for joining us on our fall home tour. Your room is so beautiful. I’m not usually a pink person but this pink is so soft, it’s really a nice touch. 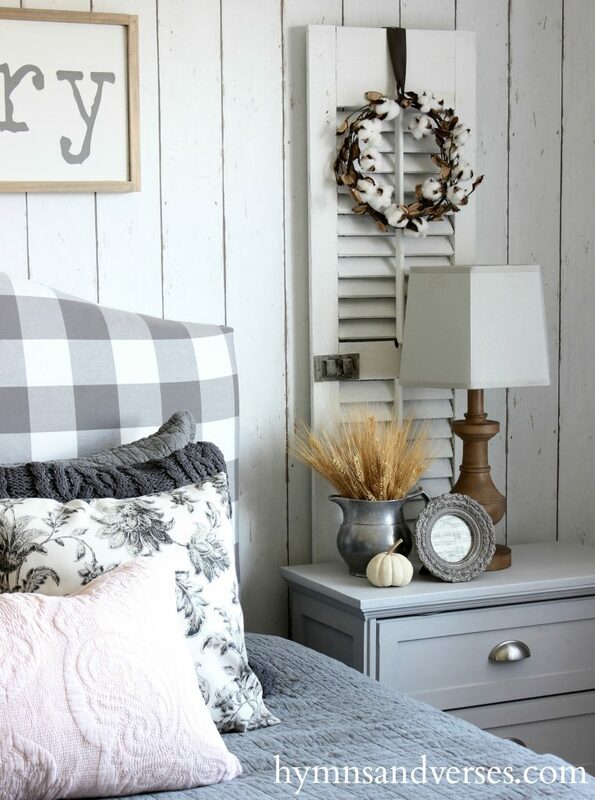 Love the grey, the silver touches, the wheat, cotton bolls; everything! Thanks for sharing! Love the pinks/blush in there. Really loving the pink quilt on your bed, where did you find it? 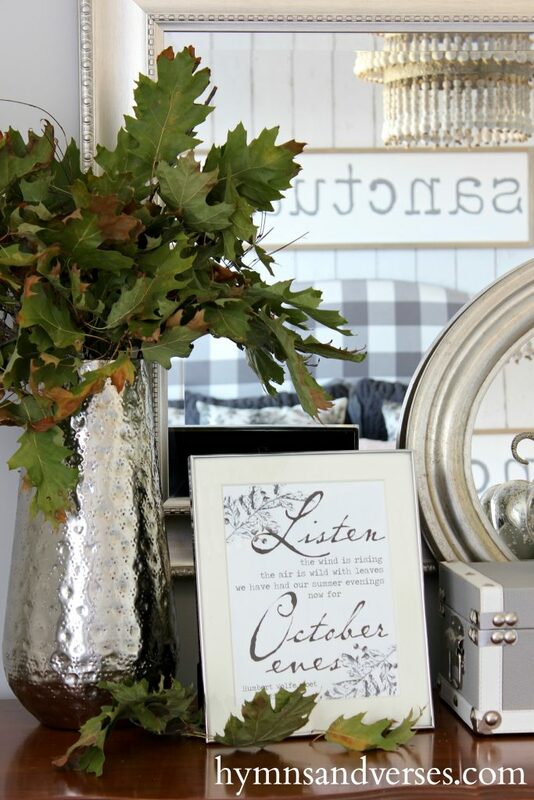 Your bedroom is beautiful and dressed perfectly for fall. I have always loved pink and grey together. It’s a classic. 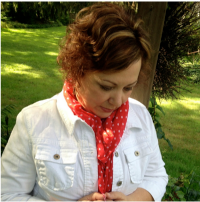 I am new to your blog, and so glad I found you. 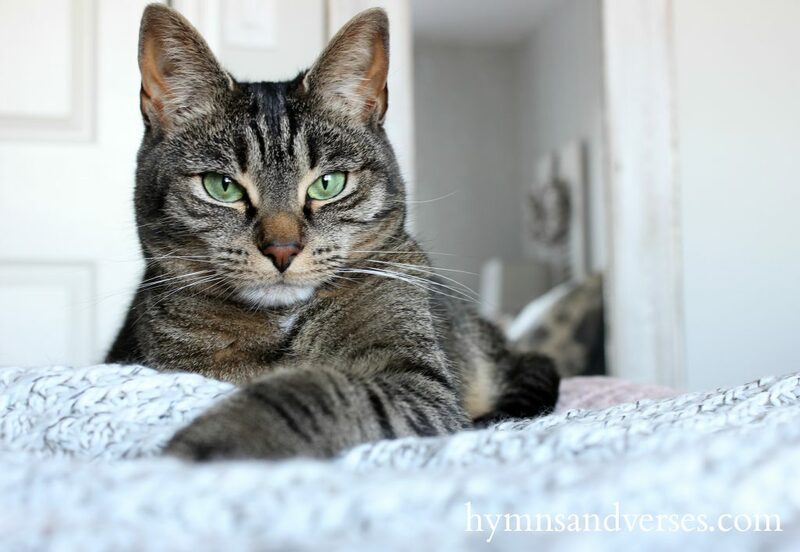 I am a cat lady, too! That is such a beautiful bedroom. Sadie is the crowning touch! Such beautiful green eyes! Doreen, your bedroom is truly elegant with just the right touches of autumn. Sadie is beautiful…thanks for inviting us in your stunning home! The whole room is just beautiful, Doreen! 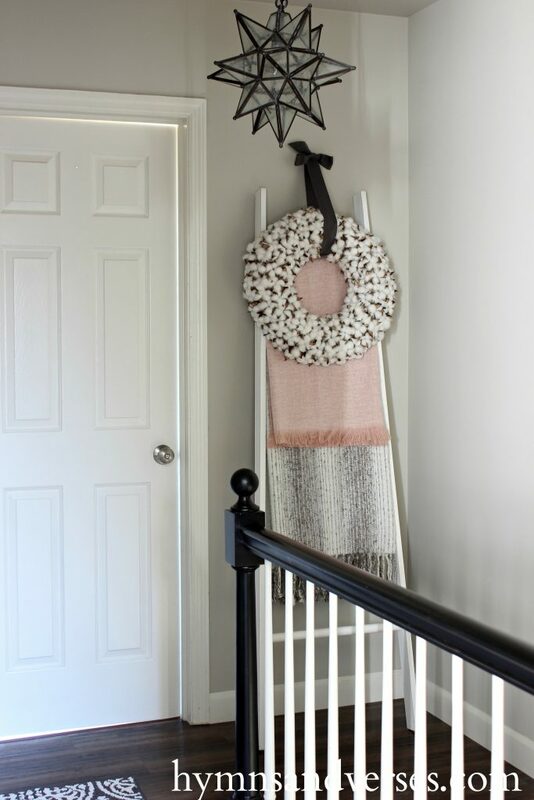 Love the mix of pink and gray, especially the blankets displayed on your ladder! Oh my that bedroom is sure a cozy haven. I adore every last inch. 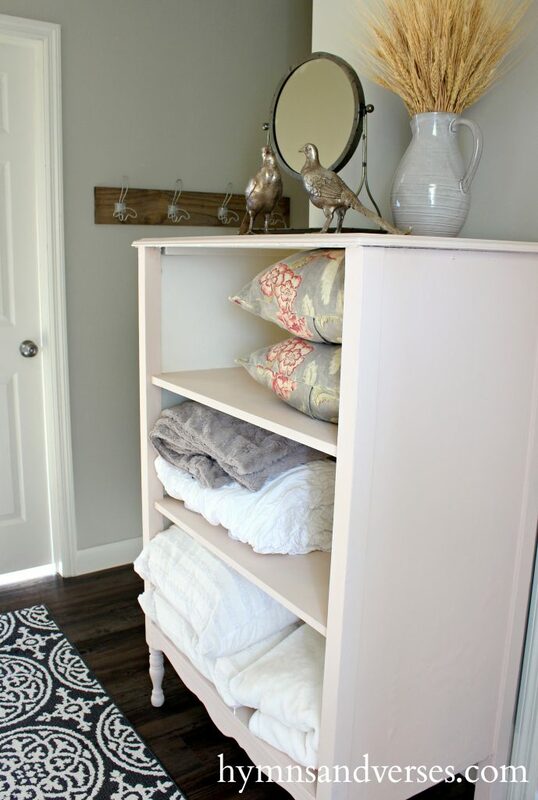 I love how you converted that piece into an open storage dresser and yes, that blush color is wonderful. But most of all, this Crazy Cat Lady loves your Sadie. 🙂 Happy Fall, my friend. Pink is my fav right now!! I love all of your pink accents. So beautiful. I adore your room it is just so pretty! Those soft pink colors mixed with the grey is gorgeous! Thanks for all the ideas love your style! 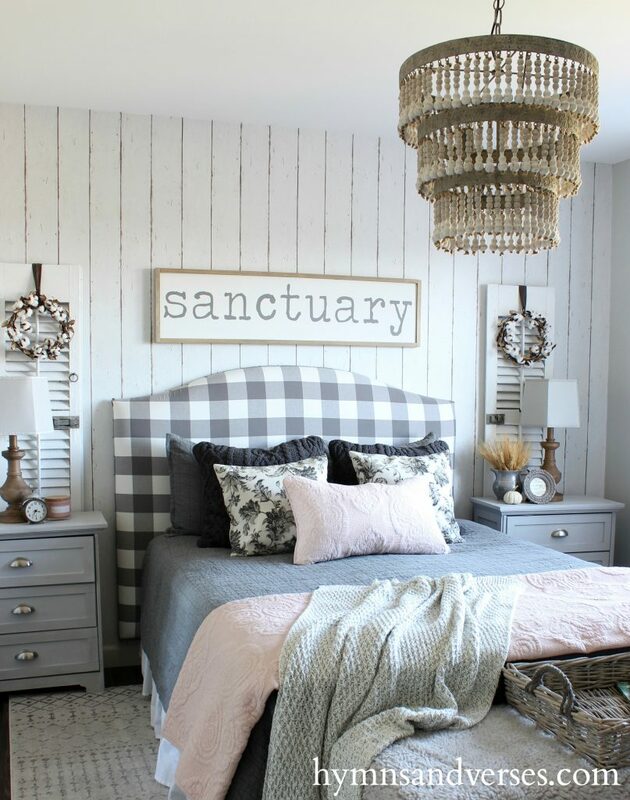 Love the pink and soft grey combo, so serene! And Sadie, the most perfect touch in your beautiful room. I love the touches of soft pink in your bedroom. It is a very tranquil room. Thanks for the inspiration! Your bedroom is so peaceful! Loving the light pink colors here and there. That wardrobe turned storage unit is such a cute idea. I’ve been a bit out of it this week. I saved your post so I could relish the photos like a magazine!! I’m glad you pointed out the painting of walls. Subtle changes do make a difference. I’m happy you are able to make changes!! My painting rooms days are over. Ohh I’d like to believe they are not but they are. And what a difference a paint change makes!! I like your fall touches. I did not do fall in my room. I think because I felt like I was recently finding decor from around the house to decorate my parents’ furniture that we now have. It is so warm here that we use our ceiling fan at least eight months out of the year. I visually ignore it!! But I do like how your light fixture adds drama to your room!! Enjoy your weekend! Dorren, the bedroom is so pretty and I love how you are using your blush pink. I want to find a way to incorporate it into my bedroom . your home is always so lovely, just like you! enjoy the beautiful fall season. Doreen, this is really beautiful! The soft grays and pinks really appeal to me as those are the colors I’m using right now too. I like the way you always incorporate items that mean something in the room. I absolutely love your bedroom!! It looks like the perfect sanctuary. I really like the touches of pink. Sadie is so adorable too! Hi there! I LOVE the room and how you accented it with a pop of color. My bedroom is mostly grays and gives me ideas on how to add a little extra something. Question: I see the black and white rug you have in the hallway. I am redoing my living room and have been looking for a black and white runner to go in front of our 8′ stacked-stone fireplace hearth. I have a black/white medallion ottoman and a b/w medallion throw on my couch…this would rug would add one more element to tie it together. Can you tell me where to look online to find the one you have in your hall? I think it would go perfectly in the room. I love your nightstands! Where are they from? Dod you paint them that gray color? Do you remember the color, if so. Beautiful bedroom!! !